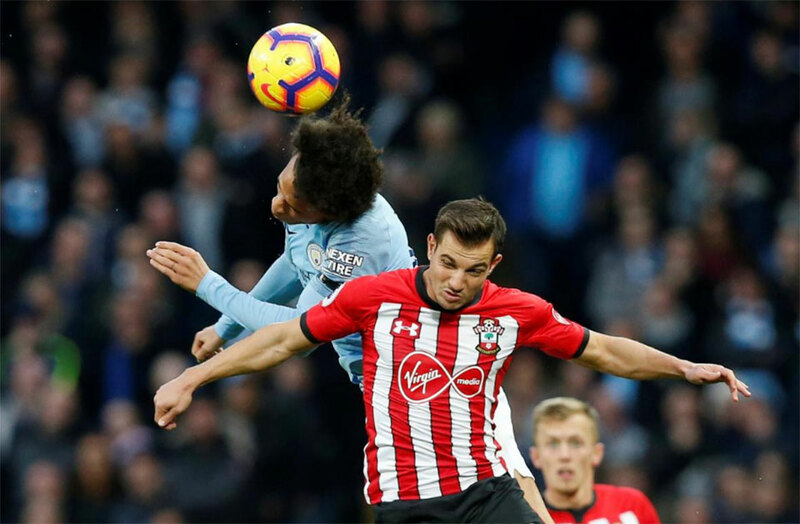 MANCHESTER, Nov 5: With two minutes to go and his team 5-1 up against Southampton in Sunday’s Premier League encounter, Manchester City manager Pep Guardiola put his head into his hands after witnessing a sloppy pass. If that was slightly strange to see from a manager whose team had utterly outclassed their opponents — and went on to add a sixth goal in stoppage time — it was certainly reflective of the Spaniard’s mentality. Guardiola knows his team can beat the likes of Southampton easily and he surely feels they can repeat or even better last season’s record-breaking Premier League title success. But what drives him is the desire to see his players do better in Europe than last season’s quarter-final exit, hence his focus on the lack of ‘stability’ in his team’s defending. Despite the scoreline, Guardiola felt his team had shown vulnerability at the back. “When they were close to our box, (I had) the feeling they can score goals,” said the former Barcelona manager. “In the duels... not defending well the passing between the lines. We can improve and that is good. I like to have that feeling that we won 6-1 and are top but at the same time we have to improve in many situations to be a more stable team. “When you concede those situations in next stage of Champions League you are out because the level is higher,” he said. It is not only collectively that Guardiola wants to see improvements. 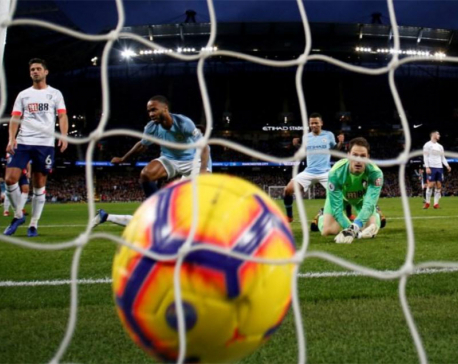 Raheem Sterling scored twice and was a constant threat down both flanks, oozing confidence and demonstrating skill, but Guardiola, while praising his winger, was quick to demand more. 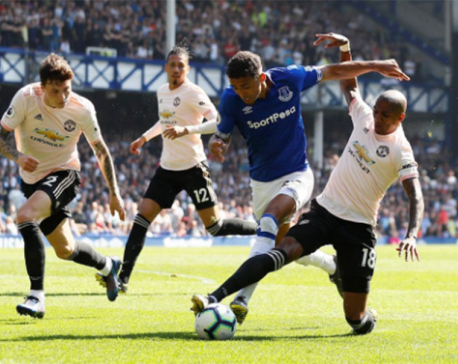 “He is incredible form, he is sharp, fast, clever, fighting, decisive, he can play both sides and can play in the middle and receive the ball between the lines and commit the centre back with a lot of aggressivity,” he said. 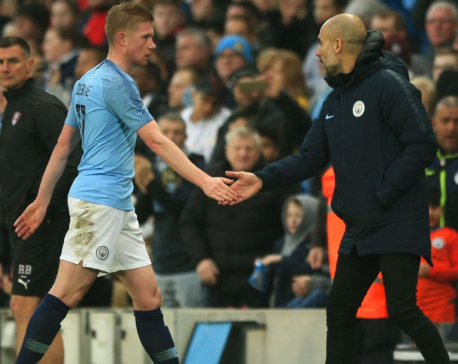 But Guardiola acknowledged that he has already seen much improvement from the 23-year-old and he credits that to his mentality. “The first season (at City), he was scared, he was looking (and thinking) ‘who is the guy I am going to pass the ball to’? He was not seeing the keeper was there. City are two points clear at the top of the table ahead of next week’s derby with Manchester United.